BECKLEY—Aug. 17-18 was a significant date at St. Francis de Sales Parish in Beckley; it marked the first Couples For Christ Youth camp (CFC-Y). This spiritual camp for youth flows from the Couples for Christ (CFC) movement, which is intended for the renewal and strengthening of the Christian family. The CFC-Y camp could only occur after the Beckley Couples For Christ group was prepared and ready to support the youth program. 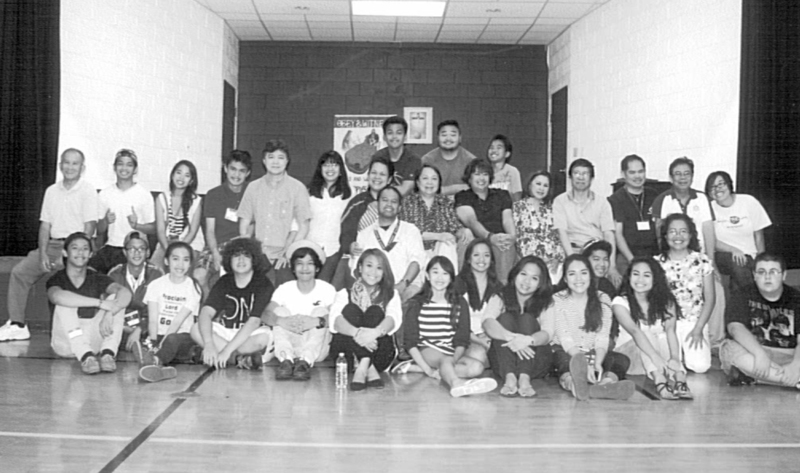 Father Michael Lecias, a former associate pastor at St. Francis de Sales Parish, introduced the couples to the CFC program, which began in the Philippines in 1981. Only after an experienced team leads the couples through 13 separate sessions over six to eight weekends of spiritual renewal are the couples ready to begin meetings on their own. From the beginning the basic goal of the group is evangelism and spiritual renewal, which works in three ways—for the individual, for the family and for the Church. Now, after the Beckley CFC has been meeting for three years, it felt ready and was given permission by the national leadership to sponsor the youth weekend. 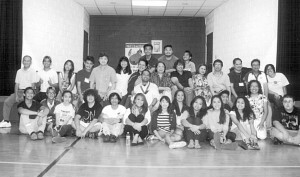 An experience team, composed of youth leaders from Maryland and Virginia came to join with Msgr. Samuel Sacus, V.F., pastor. Rev. Mr. John Ziolkowski; Father Perry Malacaman, a retired priest residing in Beckley; and a few CFC adults completed the leadership for the CFC-Y youth camp weekend. Pictured are young people and participants of the Couples For Christ Youth Camp at St. Francis de Sales Parish in Beckley. The weekend was filled with talks about God’s Love and His Plan for Us; Who is Jesus to Me; Repentance, Faith, Healing and Forgiveness; and Receiving God’s Gift/The Power of the Holy Spirit. Also included in the weekend were games, a time for sharing ideas and experiences, learning and singing songs that were composed by Couples For Christ Youth and forming friendships. Eighteen youth composed of 16 from St. Francis de Sales Parish and two from Ss. Peter and Paul Parish in Oak Hill and some Couples For Christ attended the weekend. She noted some of the youth did not want to wait until their first meeting following the weekend and attended charismatic meeting in the church, and asked if the youth group could meet twice a month instead of the scheduled once. Jacinto emphasized that Couples For Christ is recognized and approved by the Vatican.